I have received an update from the Butte County Ag Commissioner's office regarding winged primrose willow. Germinating seedlings have been detected recently. 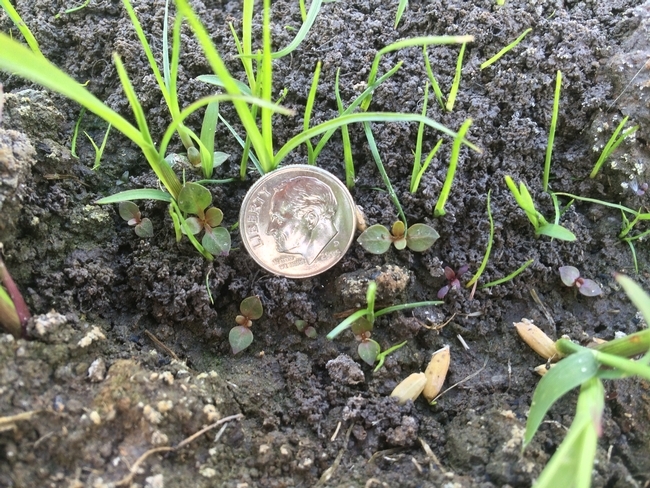 At this point, the seedlings are very small and would be very difficult to notice. Scouts were able to find them in places where the weed had been seen in the past. But this is a good indication that conditions are now good for germination. Growers and PCAs in risk areas should be on the alert. Larger seedlings will probably be visible in 30 days. For more information and pictures, visit the UC Rice On-line winged primrose willow page.